Our business model is based on working with Reputed Indian Real Estate Developers as their preferred Selling Partners for Domestic as well as International markets. We work in each segment of Residential market, including Luxury/Uber Luxury Projects, High & Mid Level Projects and Affordable housing projects. For each segment we have a different team of Sales Managers, as we understand each segment has its own challenges and demands. One of the prime location. Nearby metro station. All the educational institutions are within reach. All public facilities are available. 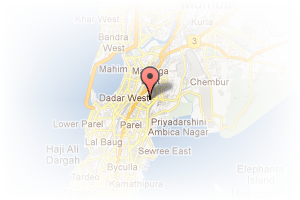 Address: Sunder Nagar, Goregaon West, Mumbai, Maharashtra, India. This Broker Profile page for "D'Kapri Real Estate Solutions" has been created by PropertyWala.com. 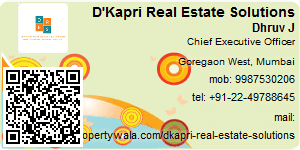 "D'Kapri Real Estate Solutions" is not endorsed by or affiliated with PropertyWala.com. For questions regarding Broker Profiles on PropertyWala.com please contact us.